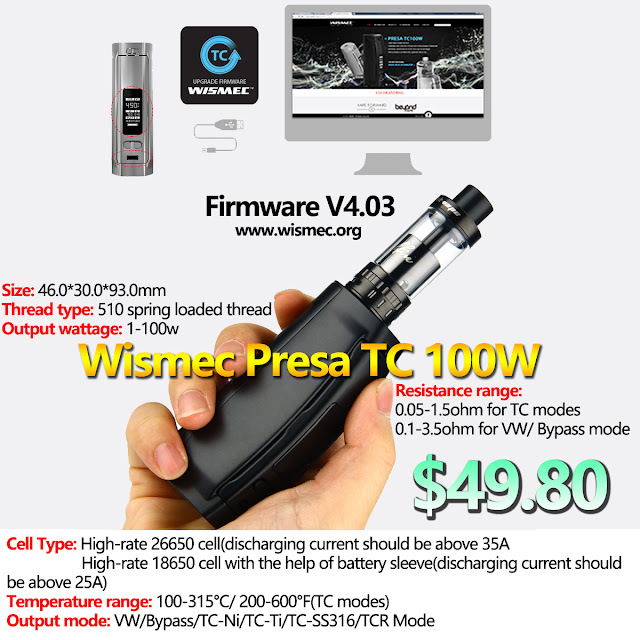 Firmware V4.03 for Wismec Presa TC 100W, do you upgrade it? This TC Software update includes enhancements and improvements for it. about presa tc 100w, know more at www.wismec.org. Have you upgrade your Reuleaux RXmini Kits?